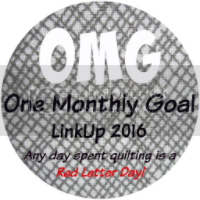 I was very excited to see the new One Monthly Goal link up hosted by Red Letter Quilts. I enjoyed participating in the 2015 Finish Along, and am currently working on my goal list for the first quarter of 2016. One Monthly Goal caught my attention because I sometimes (ok-frequently) get distracted, and I am hoping that this helps me to focus on completing at least one project each month. 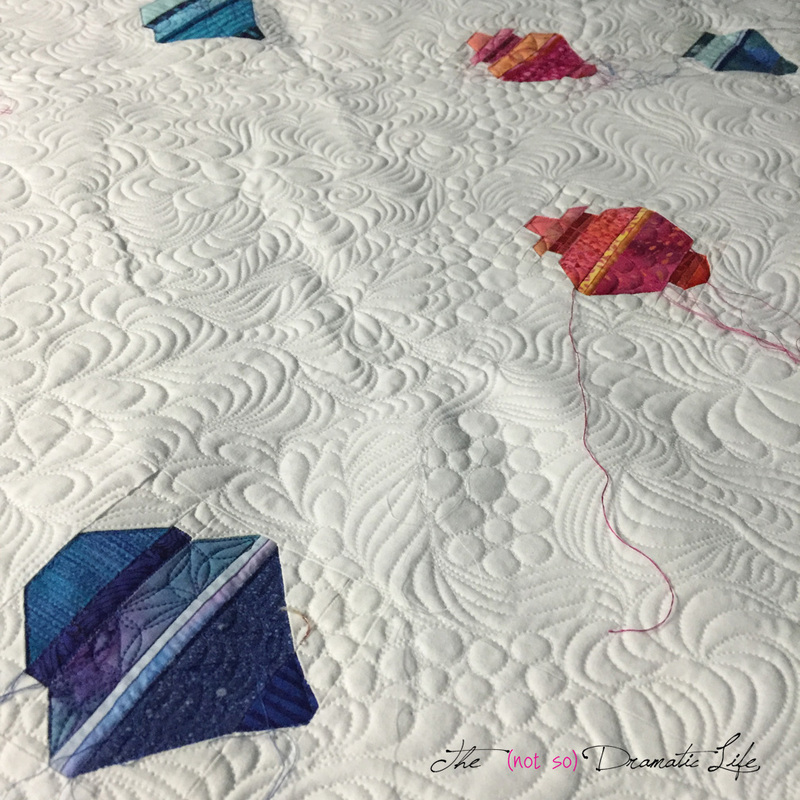 This project started in November 2014 when I made the blocks, and in December 2015 I did all over free motion longarm quilting on this quilt. I’m in love with it! It has been squared up, and I buried the threads tonight. The only things left to do are adding binding and embroidering “hanging string” lines for the baubles. Love that quilt. Are the baubles paper pieced. Can’t wait to see a photo of the whole quilt. 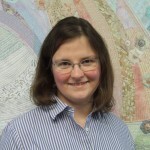 The quilting looks awesome. I can see why you love it! The effect of those lovely baubles on the pristine white, and the really fabulous quilting is amazing. Do make sure you post a photo of the finished thing! 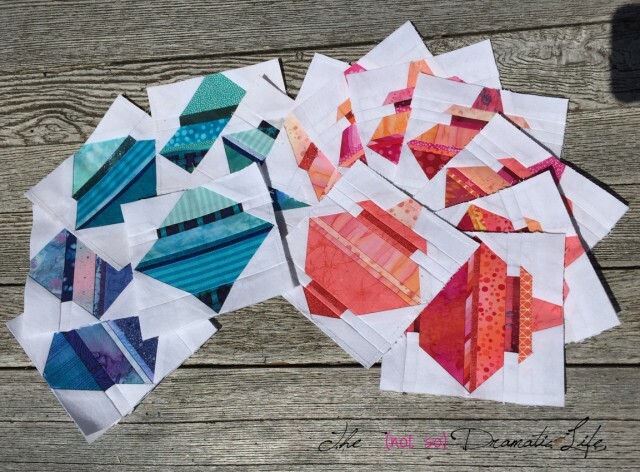 What fun to find this post in my Bloglovin feed this morning! Thank you for linking up, Baubles looks amazing! This is beautiful! It’s definitely worth completing.